It's still quite early in the shopping season, and I'll be updating this very often, so please check back daily. 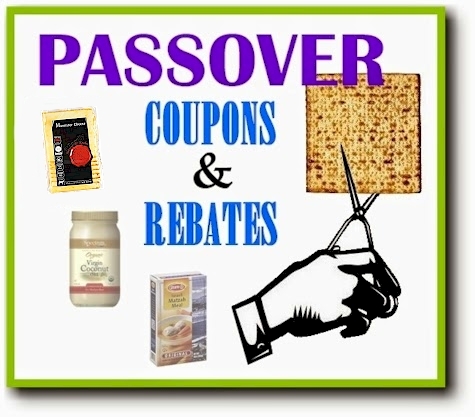 For more Pesach deals and money-saving tips, check out your Pesach-Central at PESACH.DAILYCHEAPSKATE.COM or PASSOVER.DAILYCHEAPSKATE.COM. Save $1.00 on any 2 Osem Passover Chocolate Covered Matzah, 7 oz. Save $1.50 on any 2 Osem Passover Soup and Seasoning Mixes, 14.1 oz. Save $1.50 on any 2 Osem Passover cakes, 8.8 oz. Save $1.00 on any 2 Osem Passover Pickles and Olives, 18 oz. Save $1.50 on any 2 Osem Egg Matzah, 10.5 oz. 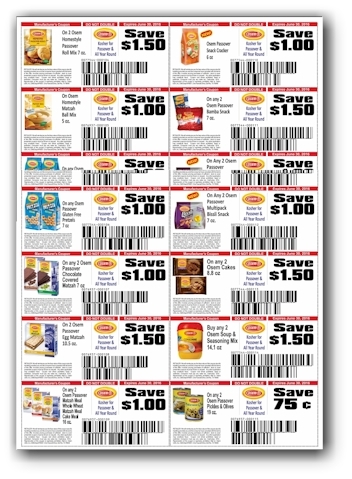 Earn $1.00 when you purchase AllWhites 100% Liquid Egg Whites (Ibotta). Doublecheck for OU-P.
Buy-5-cans-of-Evangers-get-6th-can-FREE coupon from the CRC. Redeemable at any store that sells Evangers (not redeemable online). Save $5.00 on any Hill's Diet Ideal Balance or Science Diet Pet Food. Check out the Star-K list of dog foods acceptable for Pesach here (page 87).